Drew Brees is the new all-time leader in NFL passing yards, as he passed the previous mark of 71,940 yards held by Peyton Manning on Monday night. 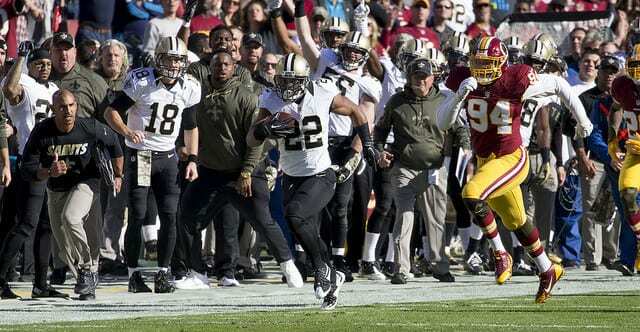 Brees hit rookie Tre’Quan Smith for a 62-yard touchdown pass in the second quarter against the Washington Redskins. As Smith crossed the goal line, Brees pointed to the sky and was mobbed by his teammates. 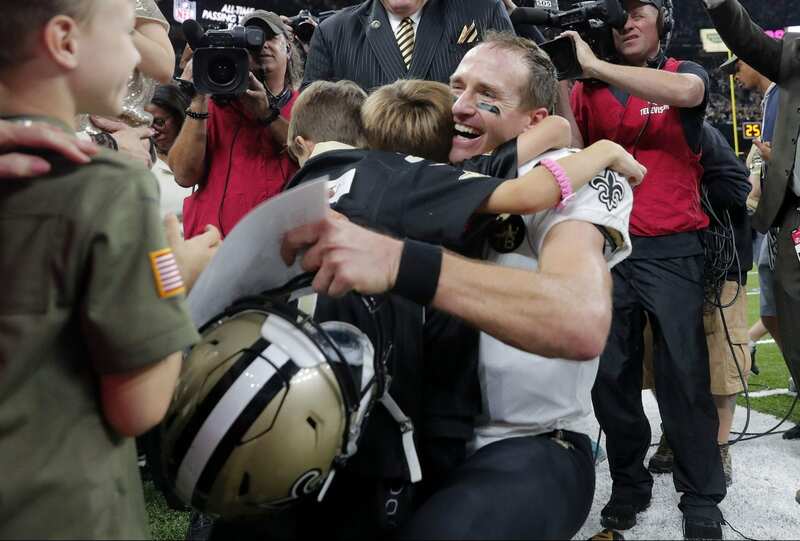 In a postgame interview, a very “grateful” Brees recalled what he told his kids, saying that’s what he tells them every night before they go to bed. And he mentioned one more bit of wisdom he shares with his kids. The 39-year-old has certainly accomplished some great feats during his 18-year NFL career — including his entire performance Monday night. 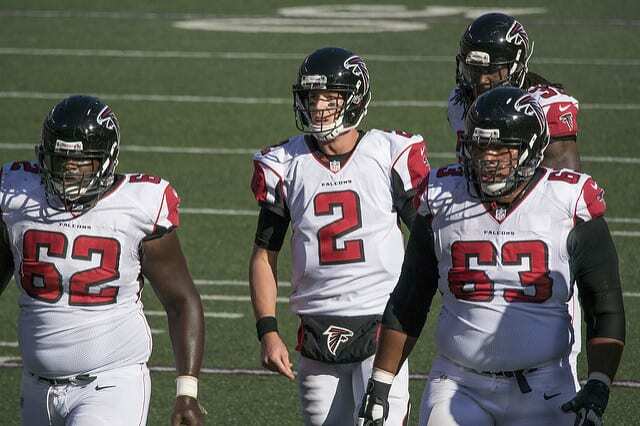 He completed 26 of 29 passes (89.6 percent), a new single-game personal best. He finished with 363 yards, three touchdowns and no interceptions as the Saints moved to 4-1 with the 43-19 victory. Earlier this season Brees set the record for most career completions, he also holds the mark for highest career completion percentage (67.1), and he’s racked up five 5,000-yard seasons (no other QB has more than one). He’s been named to 11 Pro Bowl teams and was Super Bowl XLIV MVP after leading the Saints to their first and only championship. “We all want to be able to see, touch and feel things in order for them to be real. As Christians, we have to understand that God has a plan for us, though at times we will not understand it or agree with it. 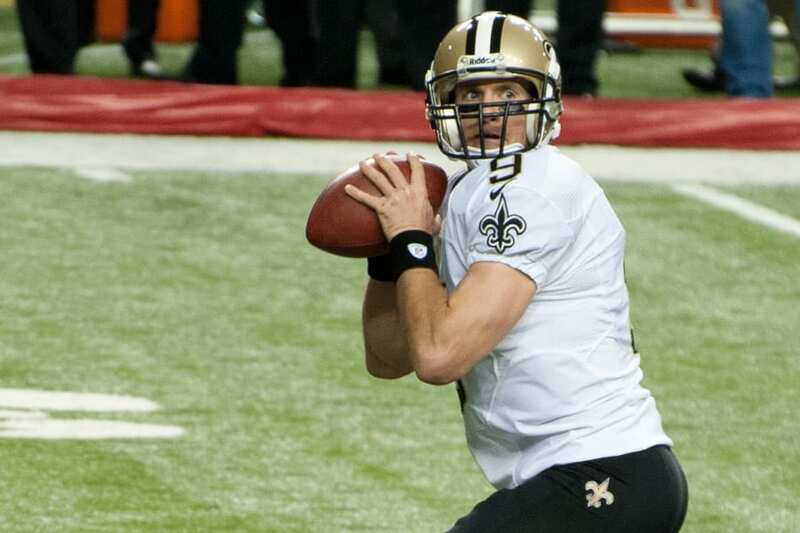 Yet with our trust and faith in Him, we know that this is part of our journey and He will lead us and develop us into who He meant for us to be,” says Brees, one five “Quarterbacks for Christ” featured in the latest issue of Sports Spectrum Magazine.